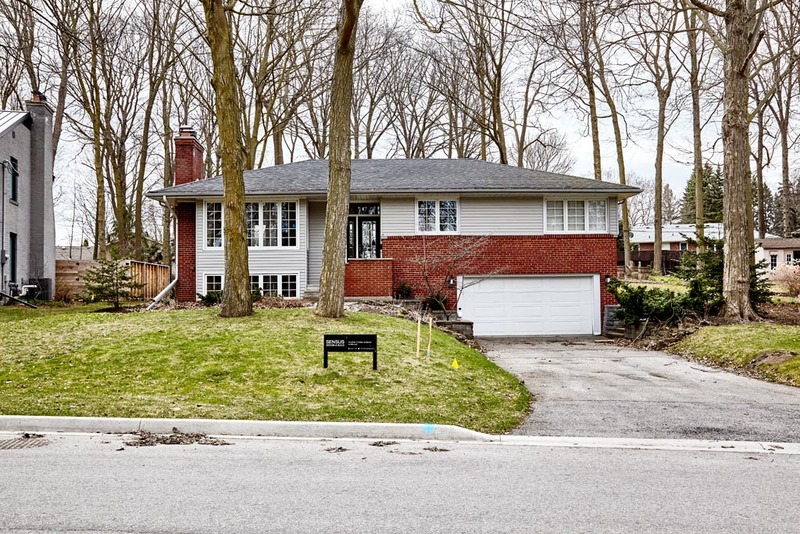 The house in Toronto was the type of property highly coveted by those in the city: fully detached on a sprawling lot, recently renovated and adorned with granite countertops, hardwood floors and a solarium. John, who asked that his name not be used for reasons that will become obvious, knew he had to make an offer. He figured he could rent it out, and if the payments didn’t cover the mortgage costs, no matter. Back in early 2017, home prices in Toronto were on an unstoppable tear, surging double-digits every month. The house would surely be worth more in no time. The home was on the market for only a few days when John’s offer was accepted. He bid nearly $1.9 million, about $360,000 more than the list price. Then everything fell apart. John, a real estate agent, thought he had financing lined up. But the bank declined to lend him the money. John had recently formed his own brokerage, and the bank was treating self-employed individuals with far more caution in an overheated market. He consulted two lawyers, who told him that if he walked away from the deal, he could be sued. John decided he had no choice but to take a mortgage from a private lender that carried a hefty 12 per cent interest rate. He knew there was no way he could afford the payments and listed the property as soon as he took ownership. But there was another problem. During the closing period, the Ontario government introduced the Fair Housing Plan, which included a 15 per cent tax on non-resident buyers. The plan released the air from the housing market, and prices took a nosedive. John’s investment property sat on the market for 27 agonizing days before a buyer could be found. The home sold for 25 per cent less than what John had paid just five months earlier, leading to hundreds of thousands of dollars in losses. “I was so greedy,” he says now. “I will not play the game like that again.” Painful as it was, he looks back at the debacle as a learning experience. He even purchased some books about real estate investment on Amazon to learn how to do it properly. RELATED: Why did mortgage rates just surge? John’s tale of misfortune isn’t exactly unique. 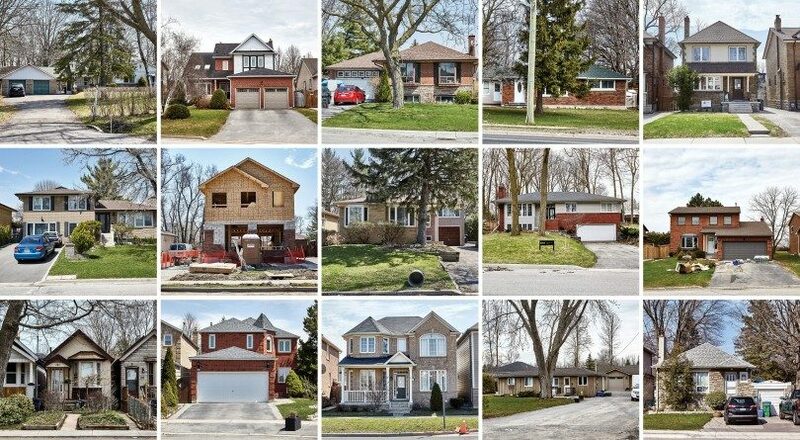 Hundreds of Greater Toronto Area residents were caught when the housing market took an abrupt dive last year after a long run of booming activity. Home sales plummeted 32 per cent from the peak, and prices cratered by 10 to more than 30 per cent in the suburbs, depending on the municipality. (The downtown area fared much better, and condo prices kept rising.) When the market began heading south, property appraisals came in lower than purchase prices, and lenders refused to fully fund deals. Buyers were left scrambling to line up financing. If they walked away, they could lose their deposits and face a lawsuit. Some sellers, meanwhile, were counting on the proceeds to pay for their new homes. A study by Toronto brokerage Realosophy Realty found 866 transactions in 2017 where a sale failed to close and the house was sold for less money when it was put back on the market later in the year. On average, the price dropped by $140,200. Another 122 properties were bought and sold in the same year for an average of $107,325 less. There may be some comfort in knowing that an overheated market corrected and didn’t take the economy with it. But that ignores the fallout that’s still emerging. Whether through recklessness, misfortune or just bad timing, residents lost thousands in deposits, missed out on profits and became ensnared in litigation. Last year proved to be a rude awakening. For the first time in a generation, it was possible to lose money in the Toronto real estate market. Maclean’s researched MLS data provided by Bungol.ca, which publishes past listings, and looked for homes that were bought and sold in 2017 for a loss. A cursory survey shows the circumstances are varied, but aggressive or speculative buying played at least some part. 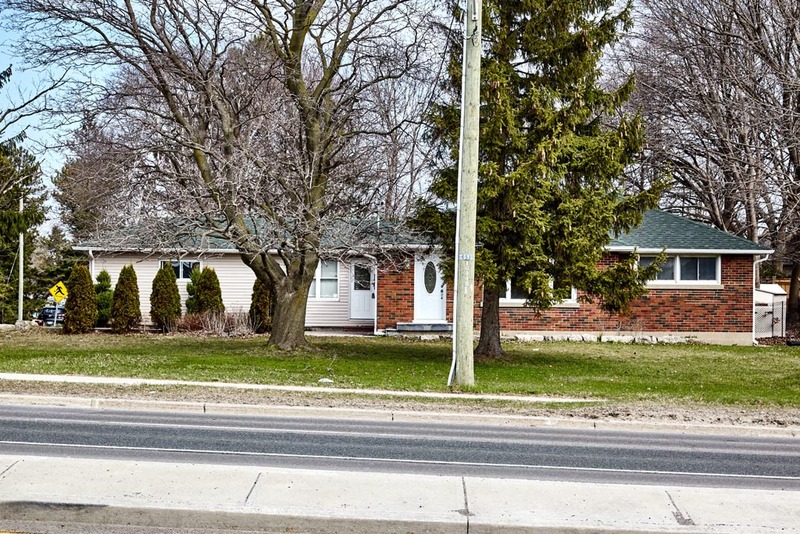 A detached house in Richmond Hill, Ont., was purchased by a real estate agent and a business partner for $2.1 million in February as an investment property. They sold it again in November for $1.7 million—a 19 per cent loss. 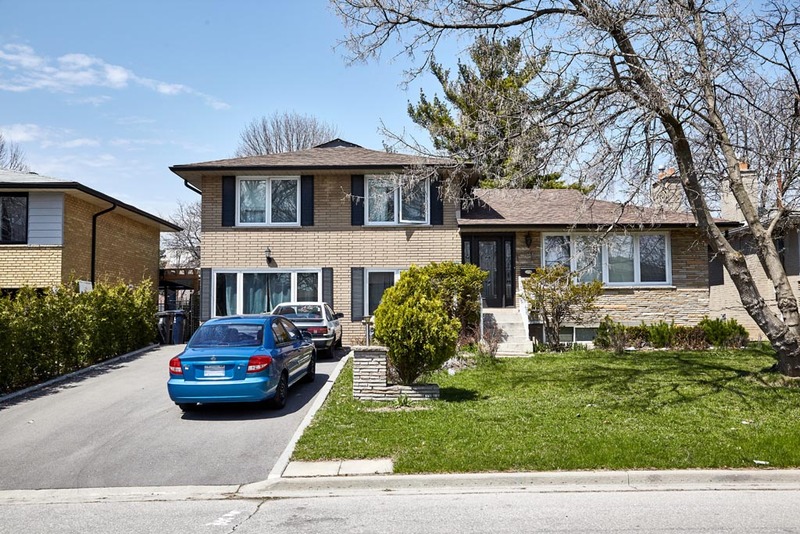 Similarly, a would-be real estate investor spent $1 million on another home in Richmond Hill, intending to renovate, according to the agent involved. The purchaser hit financial trouble in a matter of months and had to offload the property. The home eventually sold for 15 per cent less than the previous purchase price. And then there were those for whom the money apparently didn’t matter much. 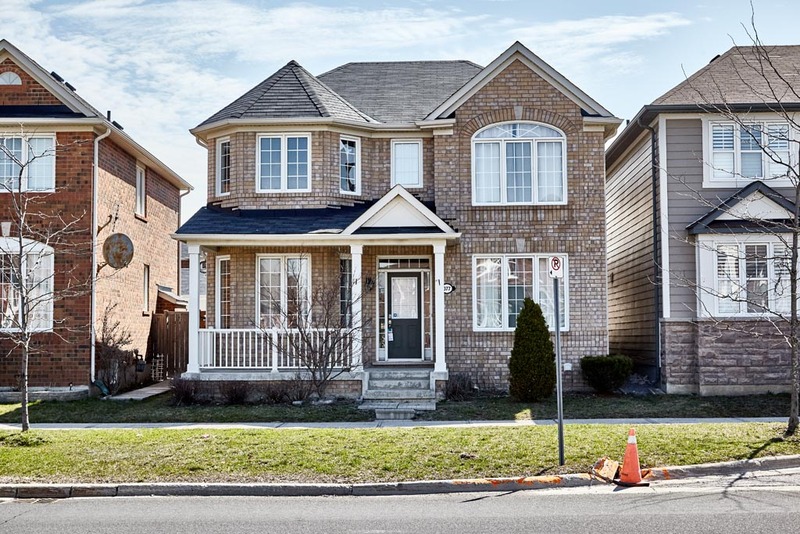 A couple purchased a three-bedroom house in Whitby in mid-April for $630,000—more than $150,000 over the asking price. The house was essentially for their daughter, according to the real estate agent. But she worked in another part of the GTA, and later decided the commute would be too inconvenient. Rather than rent the property, the parents sold the house just three months later at a $65,000 loss. Another house east of the city sold for $75,000 over the asking price at the end of March. In order to close the deal, the purchasers took on a private mortgage at a high interest rate, hoping to refinance later. But by June, traditional lenders were far more cautious and property values were substantially lower. The purchasers, who lived in the home, couldn’t find a cheaper mortgage. “The monthly payments were just insane, so the only option was to lose a hundred grand and sell the property,” says Paul Jaypour, the real estate agent who sold the house the second time. The original purchasers took an 18 per cent loss. Jaypour has seen this scenario before, and expects it to play out again. “The worst is still to come,” he predicts. In January, Canada’s banking regulator implemented a more rigorous stress test for homebuyers, making it more difficult to qualify for a mortgage. Jaypour is concerned that buyers who took out private mortgages last year simply won’t be able to refinance (especially if their homes are now worth less money) and will have to sell over the next year. Since January, Jaypour has worked with many first-time buyers who haven’t been able to qualify for a mortgage and decide not to purchase anything. “The last two or three months I spent hundreds of hours driving around people in my car who couldn’t get mortgages, and I said, ‘Enough is enough,’ ” Jaypour says. He’s semi-retiring as an agent to focus on his construction and restoration business. READ: What does the new normal in real estate look like? Last year proved gruelling for other agents, too. Ilan Joseph had three deals collapse on the same day in August. In one transaction, the purchaser needed to source additional funds from family members in Iran to close the deal, a cumbersome process that quickly ran into complications. Joseph lost the commissions on each sale, and effectively a fair portion of his yearly income on that one day. “It’s not just the buyers and sellers who are affected. It’s the realtors who already work crazy hours, then don’t get paid,” he says. Of course, the stress and financial toll is much greater for the buyers and sellers when a transaction falls apart. All Lisa Mastrangelo wanted to do was sell her house. “It turned into the biggest nightmare of my life,” she says. Mastrangelo was going through a divorce, and decided to sell her home in Oshawa, Ont., where she lived with her two teenage daughters, and move to a smaller place. Soon after listing her home in March 2017, she received an offer for $850,000, exactly $210,000 above the asking price. The buyers’ deposit was relatively small, but she didn’t think much of it at the time. Mastrangelo set out to find a new house, and purchased one in nearby Bowmanville. Her new home closed before the sale of her existing property, requiring her to take out a sizable bridge loan. On the day the sale of her home was supposed to complete, she learned the buyers had trouble with financing and were pulling out. Mastrangelo ran to her daughter’s room in tears and told her the news. “I don’t know what we’re going to do,” she said. Mastrangelo found a new agent, relisted the property and waited. And waited. Another offer arrived for $250,000 less than the previous one. She accepted, but the buyers started accusing Mastrangelo and her agent of misrepresenting some aspects of the property. Her lawyer advised her to terminate the agreement, which she did. The buyers sued to get their $25,000 deposit back. Mastrangelo found yet another real estate agent and listed the property a third time. One offer fell through, but the fourth one finally closed in December—for $280,000 less than the first sale price. Mastrangelo settled the lawsuit against her (she kept the deposit) and is working out a deal with the bank over the $240,000 bridge loan. On top of that, she has a $269,000 mortgage and her legal fees. “Financially, I’m not ahead,” she says. “We’re only just starting to get back to normal and have a life again.” Mastrangelo filed a lawsuit against the first buyers and hopes to recover the difference in purchase prices. READ ON MACLEAN’S: In Vancouver real estate, a shack costs $7 million. Here’s what you could buy elsewhere. A recent judgment shows just how far some would-be buyers will reach for a defence. In April 2017, a Toronto couple agreed to purchase a detached home in Toronto for $2.1 million. In June, they emailed to say they were facing a “financial disaster” and wouldn’t be able to follow through. By then, of course, the market was correcting. The home eventually sold for $1.65 million, and the seller sued the couple who bailed on the first deal. In court, the couple’s lawyer argued the agreement of purchase and sale contained typos in each of their names, which not only rendered the contract invalid, but somehow indicated a conspiracy. Perhaps to bolster his point, the lawyer alleged the two real estate agents colluded to boost the purchase price. The judge was mystified, calling the arguments “outlandish” and “vacuous” in his ruling. The couple was ordered to pay $277,744, relinquish their original $100,000 deposit and fork over $5,000 in costs. In the other deal, court documents allege Amador pressured the buyer into purchasing a Toronto home on the same day as part of an investor group. The buyer changed his mind, but alleges Amador duped him and submitted his offer for $1.95 million anyway. The sellers claim Amador also changed the terms of the deposit without their knowledge, reducing it from $100,000 to $5,000, which she paid in her own name. The deal collapsed. In a statement of defence, Amador claims the sellers were aware of the change to the deposit requirements and denies any wrongdoing. The home eventually sold again last year with a different agent—for $760,000 less. “I have been advised by my lawyer that since these matters are before the courts, I cannot comment at this time,” Amador says.